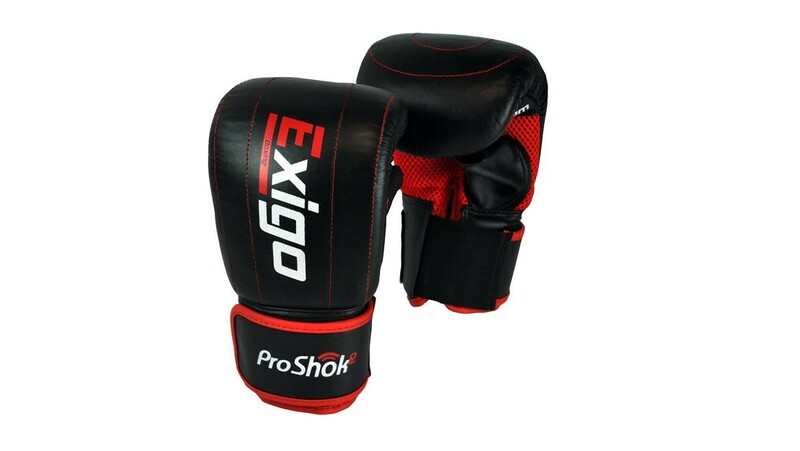 Enhance your boxing workout with these Exigo Club Bag Mitts. The lightweight design features ProShok 2 technology – two layers of density multi layered absorbent foam designed to protect you while you perfect your punching technique. Enhance your boxing workout with these Exigo Club Bag Mitts. The lightweight design features ProShok 2 technology – two layers of density multi layered absorbent foam designed to protect you while you perfect your punching technique. Available in S/M or L/XL. ProShok 2 – 2 layers of density multi layered foam to reduce and absorb shock. High quality cow hide leather used throughout. ExCool breathable mesh. Reinforced double stitching for extra strength and durability. Strong adjustable velcro strap for better support, specifically designed to. brace the wrist ensuring a tight, comfortable fitting.